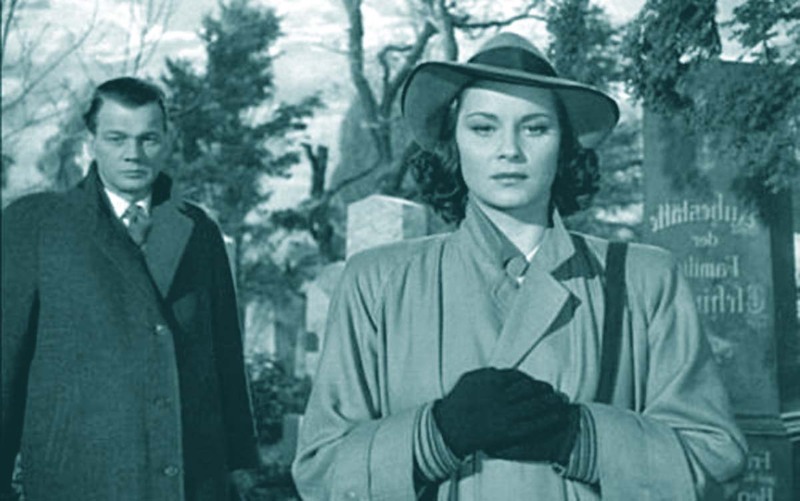 Palme d'Or winners: Joseph Cotten and Alida Valli in Carol Reed's Vienna-set thriller The Third Man. 1951: Miracle in Milan / Miracolo a Milano (Vittorio De Sica) and Miss Julie / Fröken Julie (Alf Sjöberg), starring Anita Björk. * The 1939 Grand Prix was given retroactively at the 55th Cannes Film Festival ceremony in 2002. The 1939 Cannes festival was cancelled because of World War II. ** There were multiple winners in 1946 and 1947. In '47, the winners were selected according to particular genres. † Due to a lack of funds, there was no Cannes Film Festival in 1948 and 1950. The 1968 festival came to a halt because of the student protests that paralyzed France. Thus far, no retroactive awards have been handed out for that particular year, though there's always hope. Information on the Cannes Film Festival and Palme d'Or winners: IMDb, and Cari Beauchamp and Henri Béhar's Hollywood on the Riviera. Joseph Cotten and Alida Valli The Third Man photo: London Films.